Gareth has an incredible network of people who follow his every move. His whole family – and most of his friends — share his fervor for food. His dedication to an honest cuisine is matched by few. He is the epitome of what the French call “passionné”: unfaltering in his eternal search for the best quality ingredients at a fair price; willing to go to distant places and lose countless hours of sleep to find the perfect products. Whether it’s cooking and scrubbing pans with a Nonna in a hidden corner of Italy or crossing the Channel on a Sunday morning to buy fresh shellfish in Boulogne – to be served up fresh on his lunch table in London — his devotion to his “cause” is virtually boundless. But Gareth’s blood can run hot when it comes to food and his vision of it. He is lucid about what he likes and what he doesn’t like and his sense of ethics and justice make him look on this world like the Egyptian goddess Ma’at with her scales of justice, weighing the “hearts” of products to decide whether they are balanced and good enough to go to his version of food heaven. Gareth Jones’s tastes were not formed overnight. He grew up on a farm in Wales, in the middle of fragrant orchards and gardens. The surrounding woods and pastures were his playground. He is a man of the earth. The scents, tastes and sensory experiences of these days gone by make up an essential part of who he is and how he relates to the world, in particular to food: rustic yet refined, never losing sight of his roots. Gareth lives through his senses. 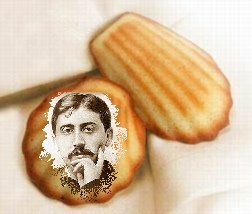 Proust may put some to sleep, but no one better describes the degree to which all the senses awaken when recalling taste http://www.theramblingepicure.com/full-sensory-taste-and-proust/. 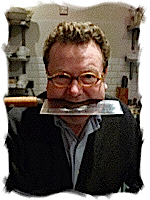 As Scott Horton http://harpers.org/blog/2009/06/proust-memory-and-the-foods-of-childhood/ points out, Proust explored this long before neurogastronomy even existed, and so did Gareth Jones, in the woods and fields and pastures of his happy hunting ground called Wales. Gareth is a living temple of Proust’s perception of the sensory experience that is life, with food as its altar. 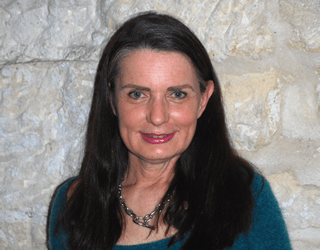 His devotion is boundless, and he surrounds himself with writers who share his zeal and dedication. There’s no better recipe for editing a food magazine. Yet, there’s a lot of country gentleman mixed into his formula, which takes him a long way from Proust’s decadence. Thus the term he coined, “Blue Collar Gastronomy,” inspired by a visit to the Leclerc supermarket in Boulogne-Outreau – “often frequented by working class people the majority of whom are below average education and a town where unemployment is in the high teens if not +20%,” says Jones. As he was filling his trolley, he noted how intelligently and carefully the locals were filling theirs. You might never have known it was a poor, run-down, even sad, place if you looked at the contents, fit for a minor Roman feast. The smells and tastes of the world have indeed been poised for a long time in Jones’s mind, but time has not been lost. His life has been a fine weave of the senses and food, which makes for dishes that have real taste, that are authentic and lacking all pretentions. He is a master at finding the crème-de-la-crème for even the simplest food purchase, even a chicken carcass for making soup and broth. In the words of Pete Seeger, “Any darn fool can make something complex; it takes a genius to make something simple.” And this is what Gareth Jones has understood and mastered. 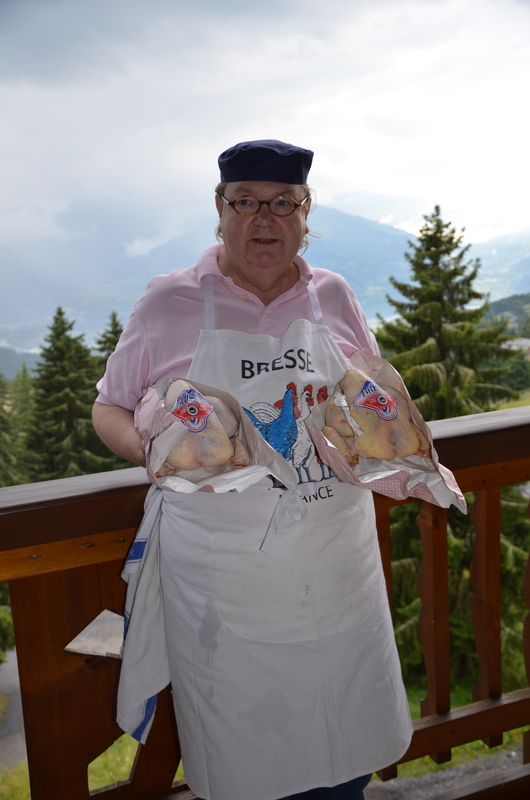 On a sunny day in August, Gareth made poulets de Bresse, the prince of all chickens. He and his family had made a special detour to Bresse on their drive from London to our mountain home in Villars-sur-Ollon just to buy the chickens. To start the work, he put on his chef’s hat and apron – the one you see in all the photos — only to spend hours in the kitchen, smiling and giggling at their beauty all the while, patting them on the breast as if they were a much-loved child. His treatment of the “little princes” was itself princely and full of the respect they deserve. You would have thought it was a beast epic and that they were whispering to the chef, giving him instructions on how to proceed, but no. Gareth is the chicken whisperer and knows what they want and need. He knows the beauty of keeping it simple and letting the natural tastes come to the foreground. Bresse chickens will never be the same.